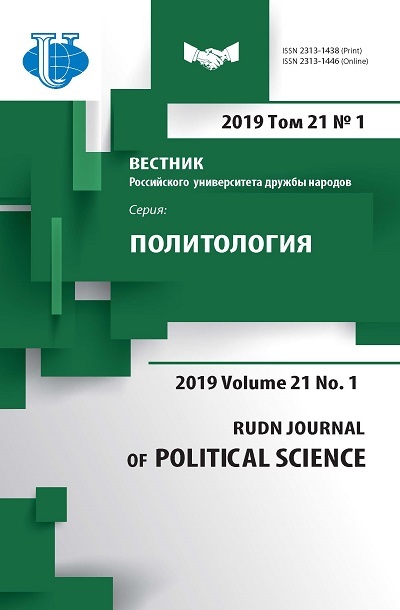 usage of the published materials in the research and educational process at political science departments of Russian and foreign institutes of higher education as well as within the framework of teaching the humanities. The journal is designed for publishing the results of independent and original researches of scientists, lecturers and staff members of the University as well as other scientific centers in the form of articles, review materials, scientific reports, bibliographical reviews on certain subjects and scientific areas. 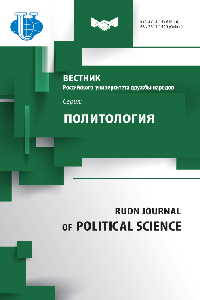 The journal covers all spheres of studying the political processes in Russia and contemporary world. Simultaneously, proceeding from the principal scientific trends of the department, priority is given to the coverage of such areas of political studies as political history of Russia; Russia in the system of international relations; political thought and methods of politological research. Particular attention is paid to the problems of Russia's study, researching the social and state development of contemporary Russia on the principles of methodological pluralism and interdisciplinariness, as well as studies of international relations and dialogue of civilizations in the context of changing global conditions of the contemporary world in the framework of reconsideration of the traditional methodological tools of political science. Meshkova T.A., Izotov V.S., Demidkina O.V., Kofner J.C.
Belokonev S.Y., Titov V.V., Usmanova Z.R.